Of the three strands of Buddhism commonly practiced by Westerners, Theravadin Buddhism has the greatest emphasis on renunciation of desires. The at times austere and renunciation focused aspects of Theravadin Buddhism are in the process of being translated from Asian Monastic contexts to Western lay life. Given how long it took Buddhism to fully integrate into south-east Asia, this process of translation is going to take us a while in the West! In the meantime many Western practitioners are left wondering how to handle the complexities of intimate partner relationships, sexuality, ambition, and passions, in a world that handles these things very differently than the monasteries in Asia do. Some vipassana and the insight meditation traditions have in many cases split from the more traditional religious aspects of Theravadin Buddhism to offer a lot of benefit as a non-religious, spiritual and psychological path for practitioners. Whilst this offers a chance to concentrate on the meditative practices divorced of any blind religious belief, it also tends to produce a distinctly Western and very individualistic experience of practice. 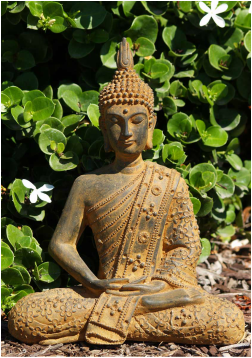 What are the benefits of connecting Theravadin Buddhism and psychotherapy? Many of the great promoters of this form of Buddhism in the West, people such as Joseph Goldstein and Jack Kornfield have also been psychotherapists. They have noted that some Westerners bear a degree of self hatred or self criticism that has surprised their Asian Buddhist teachers, and which has interfered with their ability to benefit from Buddhist practice. These pioneering Western Buddhist practitioners have integrated psychotherapeutic insights into Buddhist practices in ways that have benefited countless practitioners. The concept of "spiritual bypassing" is a good example of this. Spiritual Bypassing occurs when people avoid dealing with their psychological issues through a focus on the spiritual. For instance, if a person has strong unconscious inhibitions around their anger, they may throw themselves into a spiritual community or spiritual practice with an intense drive to be "nice" to be surrounded by "nice people," and to avoid all anger entirely. This distorts their personality, and does not serve their spiritual practice which needs to be about accepting rather than suppressing feelings. Michael Apathy and Selina Clare are qualified experienced psychotherapists in private practice in the Christchurch, New Zealand. Between us we have 26 years of experience practicing mindfulness and meditation, including numerous intensive retreats and five years of full time residential monastic-style training at Zen Mountain Monastery in upstate New York. Michael has a bachelors degree in religious studies, which gives him a broad understanding of the Buddhist and other religious traditions. Selina specialises as a psychotherapist using mindfulness based therapy to treat stress and anxiety. Both of us have undertaken many years of our own personal psychotherapy and spiritual development. If you're interested in or engaged with Buddhism as a spiritual or religious path, then we'd love to work with you, so please get in touch.